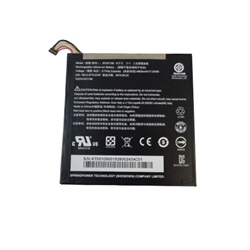 Description: New genuine Acer Iconia tablet battery. 1 cell, 3.7V, 4600mAh, 17.02Wh. Compatible Part #'s: KT.00109.001, 1ICP4/107/108, 30107108.